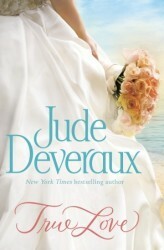 Jude Deveraux, the New York Times bestselling author of unforgettable romance, returns with a breathtaking first book in a fantastic new series—the Nantucket Brides trilogy. Set on the magical Massachusetts island,True Love introduces characters from a new generation of Montgomery-Taggerts, the beloved family from Deveraux’s classic novels. Just as Alix Madsen is finishing up architectural school, Adelaide Kingsley dies and wills her, for one year, the use of a charming nineteenth-century Nantucket house. The elderly woman’s relationship to the Madsen family is a mystery to the spirited Alix—fresh from a romantic breakup—but for reasons of her own Alix accepts the quirky bequest, in part because it gives her time to plan her best friend’s storybook wedding. But unseen forces move behind the scenes, creaking Kingsley House’s ancient floorboards. It seems that Adelaide Kingsley had a rather specific task for Alix: to solve the strange disappearance of one of the Kingsley women, Valentina, more than two hundred years ago. If that wasn’t troubling enough, Alix must deal with the arrogant (and extremely good-looking) architect Jared Montgomery, who is living in the property’s guesthouse. Unbeknown to Alix, Jared has been charged with looking after her while she lives on the island—an easy task for him, considering the undeniable chemistry between the two. But Jared harbors secrets of his own, which, if revealed, may drive a wedge between the pair. With a glorious Nantucket wedding on the horizon, sparks fly, and the ghosts of the past begin to reveal themselves—some of them literally. Finding their lives inextricably entwined with the turbulent fortunes of their ancestors, Alix and Jared discover that only by righting the wrongs of the past can they hope to be together. 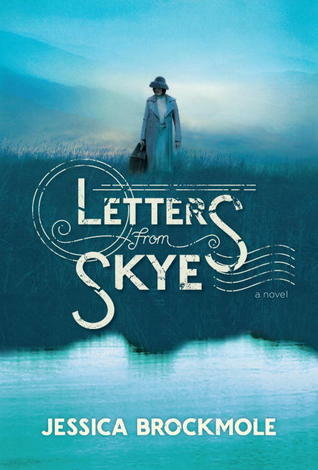 A sweeping story told in letters, spanning two continents and two world wars, Jessica Brockmole’s atmospheric debut novel captures the indelible ways that people fall in love, and celebrates the power of the written word to stir the heart. March 1912: Twenty-four-year-old Elspeth Dunn, a published poet, has never seen the world beyond her home on Scotland’s remote Isle of Skye. So she is astonished when her first fan letter arrives, from a college student, David Graham, in far-away America. As the two strike up a correspondence—sharing their favorite books, wildest hopes, and deepest secrets—their exchanges blossom into friendship, and eventually into love. But as World War I engulfs Europe and David volunteers as an ambulance driver on the Western front, Elspeth can only wait for him on Skye, hoping he’ll survive. June 1940: At the start of World War II, Elspeth’s daughter, Margaret, has fallen for a pilot in the Royal Air Force. 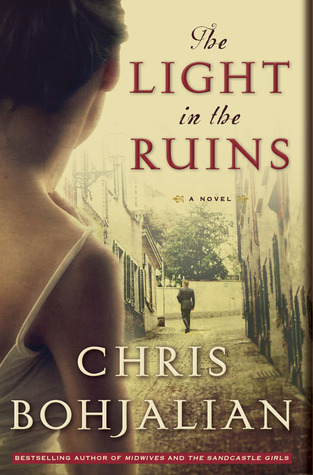 Her mother warns her against seeking love in wartime, an admonition Margaret doesn’t understand. Then, after a bomb rocks Elspeth’s house, and letters that were hidden in a wall come raining down, Elspeth disappears. Only a single letter remains as a clue to Elspeth’s whereabouts. As Margaret sets out to discover where her mother has gone, she must also face the truth of what happened to her family long ago. The Coffey siblings are having a rough year. Martha is thirty and working at J. Crew after a spectacular career flameout; Claire has broken up with her fiancé and locked herself in her New York apartment until her bank account looks as grim as her mood; and the baby of the family, Max, is dating a knockout classmate named Cleo and keeping a very big, very life-altering secret. The only solution—for all of them—is to move back home. But things aren’t so easy the second time around, for them or for their mother, Weezy. Martha and Claire have regressed to fighting over the shared bathroom, Weezy can’t quite bring herself to stop planning Claire’s thwarted wedding, and Max and Cleo are exchanging secretive whispers in the basement. 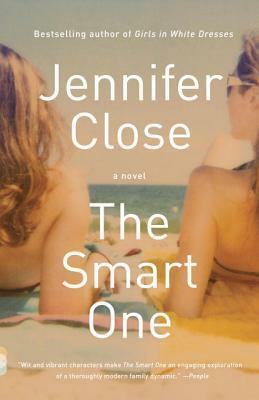 Jennifer Close’s funny and tender follow-up to her bestselling debut novel is a story about the ways in which we never really grow up, and the people we turn to when things go drastically wrong: family.